When you play Scrooge slots, you can experience the same characters from the Charles Dickens novel “A Christmas Carol.” The main icons are Ebenezer Scrooge, the ghost of Jacob Marley, the infamous Tiny Tim, along with the Ghosts of Past, Present and Future. Other symbols that can be found when playing the Scrooge slots game include a safe, moneybag, ledger, clock and a set of keys. The Wild symbol is the Scrooge logo, while the Scatters are shown as a Door Knocker. 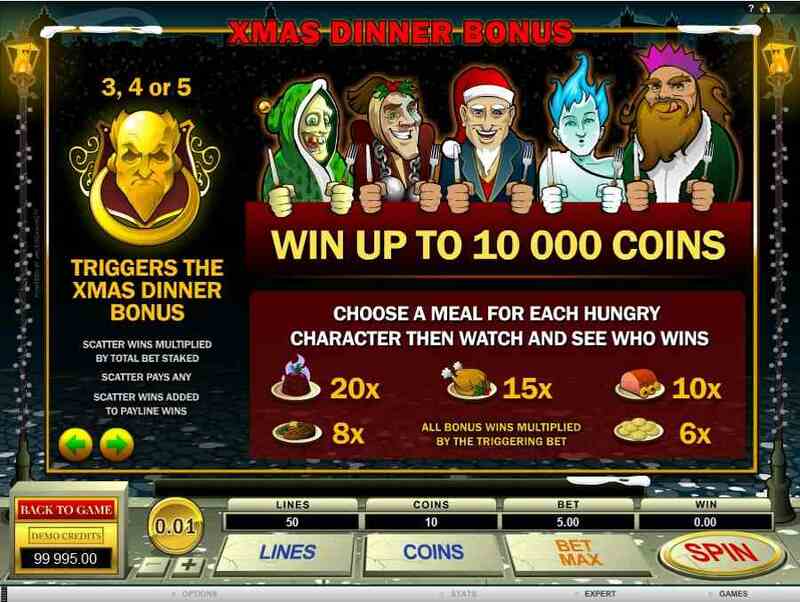 All the symbols in the Scrooge slots game are animated, enhancing the enjoyment of playing this online casino game. There are 5 reels in Scrooge slots, with a high 50 paylines. The maximum bet on each line is set at 10 coins, given in coin sizes from 0.01 to 0.50. On each spin, the total bet allowed is 250 coins, which make is an appealing game to high rollers who enjoy online casinos. As you play the main game of Scrooge slots, the music is gentle and keeping within the Christmas feel of the game. Once the Free Spins are activated however, the tunes do get a little livelier. If you spin 3 or more of the scatters Door Knocker symbol, you will activate a bonus Christmas Dinner game. 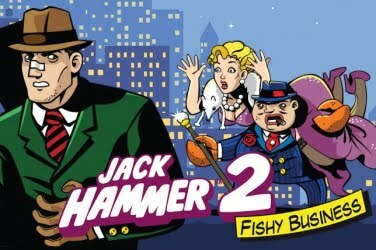 A second screen will appear showing five characters seated around a dining table. You can find Scrooge himself, Jacob Marley, and the Ghosts of Past, Present and Future. At this point, players are required to drag and drop a plate of food before each diner. One of these icons will then light up. A pay-out will be made depending on the meal in front of them, which is set within the Scrooge slots game. 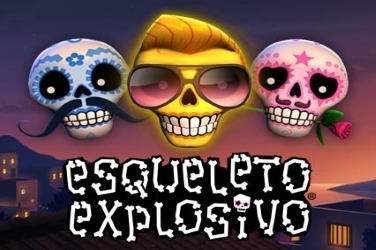 The maximum amount of coins that can be won during this additional feature is a welcome 10,000 for any gamer. 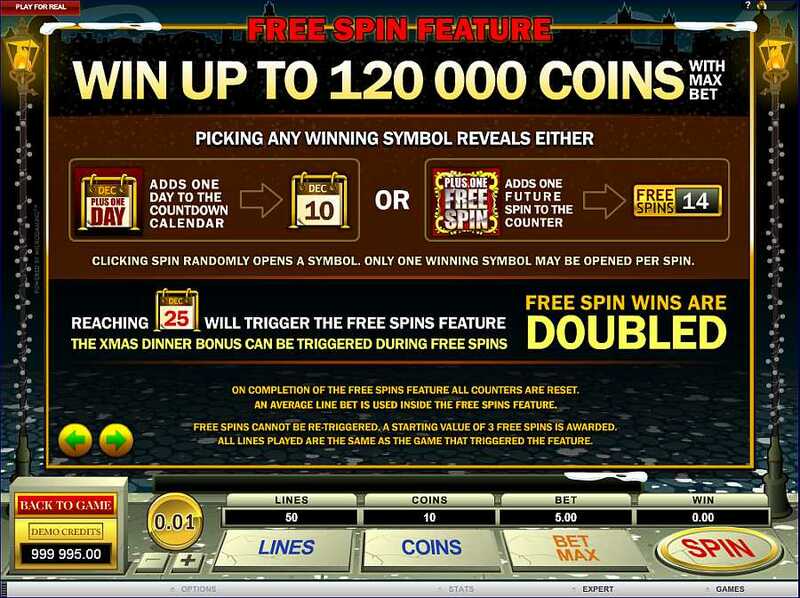 The Free Spins feature is activated a little differently compared to what you usually find when playing at a Microgaming online casino. 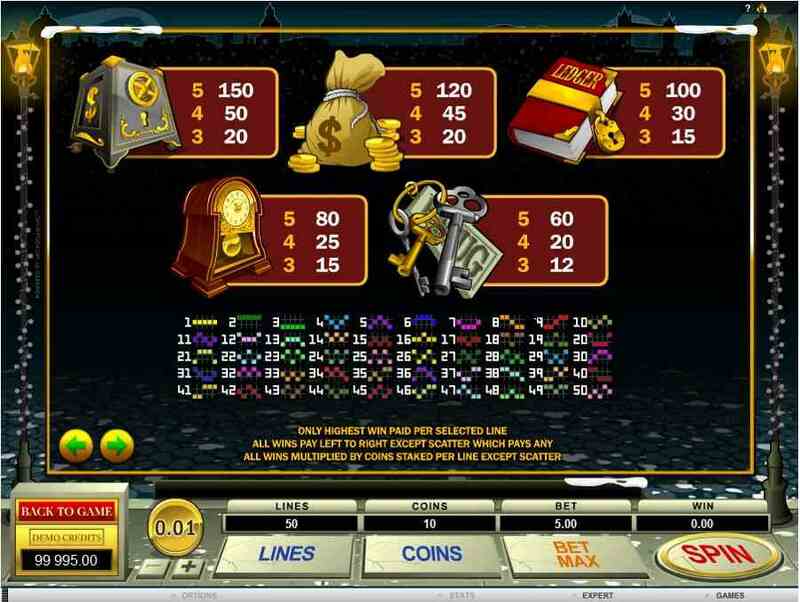 In Scrooge slots when you get a winning payline, you are asked to choose a symbol at random. Whichever symbol is picked will either award you a free spin, or a day added to the calendar. 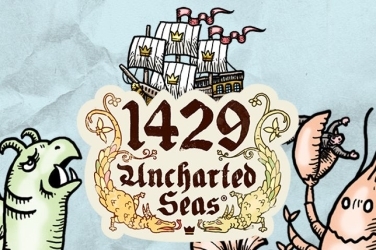 Any Free Spins that are won are added to a meter which accumulates throughout the game play. Once a set amount of spins is reached, then the bonus round is triggered. Alternatively, when a day is added to the calendar and Christmas Day is reached, again the Free Spins are activated for play. 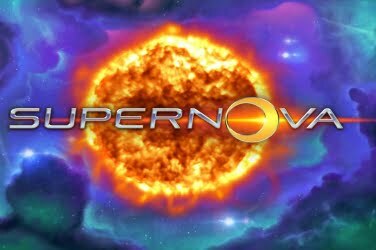 Any winnings that are awarded during the Free Spins are doubled. Helping the gamer to increase their potential pay-out. Scrooge slots also has Wild symbols, which can double any winnings of the combination that they may have helped to create. 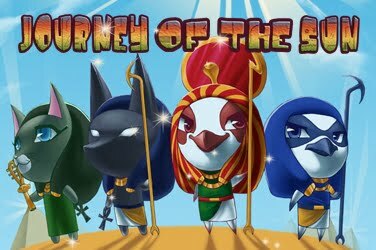 Alternatively, they can offer the highest paying jackpot of 6000 coins. 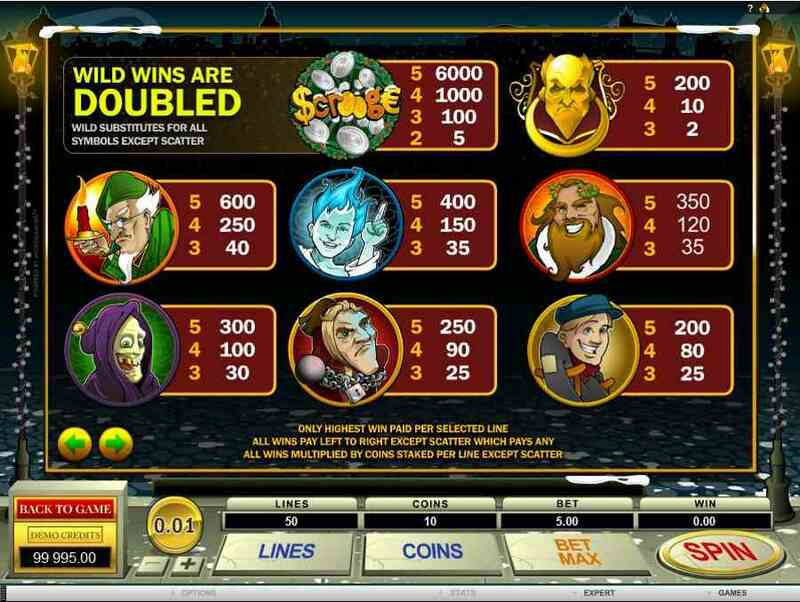 Playing the Scrooge slots game is easy, providing a fun experience for online casino enthusiasts of all levels. You can place bets from 1 to 10 coins on any of the 50 winning play lines. Using the additional bonus features to increase the final pay-out that you can claim. This provides players with more chances of winning as they enjoy Scrooge slots. Jackpots and pay-outs can be achieved by spinning the games Wilds, Scatters and winning combinations of the other Christmas themed symbols. The tunes and speed of the game can be adjusted before game play begins. Also, when playing in Expert Mode you can activate the Auto Play feature. This means that you can leave your PC to do other things while the reels are spun automatically for you. Hopefully you can then return to a nice win. 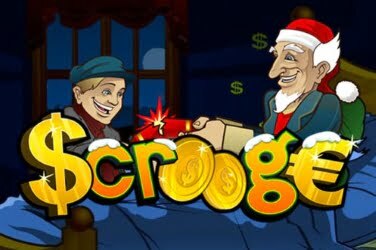 Although the Scrooge slots game doesn’t have a progressive jackpot or a bonus Gamble game, there are many opportunities to win when playing at an online casino on this particular game. With the Christmas Scrooge theme and the stunning graphics and animations used, this slots game has become a popular choice for many gamers from around the world.